Where, Oh Where is Hombiss the Hare ? SOLDIER and artist Richard Salter has served over 17 years in the British Army, he studied fine art with the University of Buckinghamshire and has painted throughout his military career whether on operations, training or at home. Richard was one of only ten finalists from almost 6,000 entries to the BBC's The Big Painting Challenge screened in early 2015 and Richard got through to the final three in the competition. Richard painted the illustrations for a new children's book Hombiss the Hare written by his aunt retired school teacher, Valerie Salter, from Blencarn, near Penrith, and published by Hayloft Publishing Ltd, Kirkby Stephen. 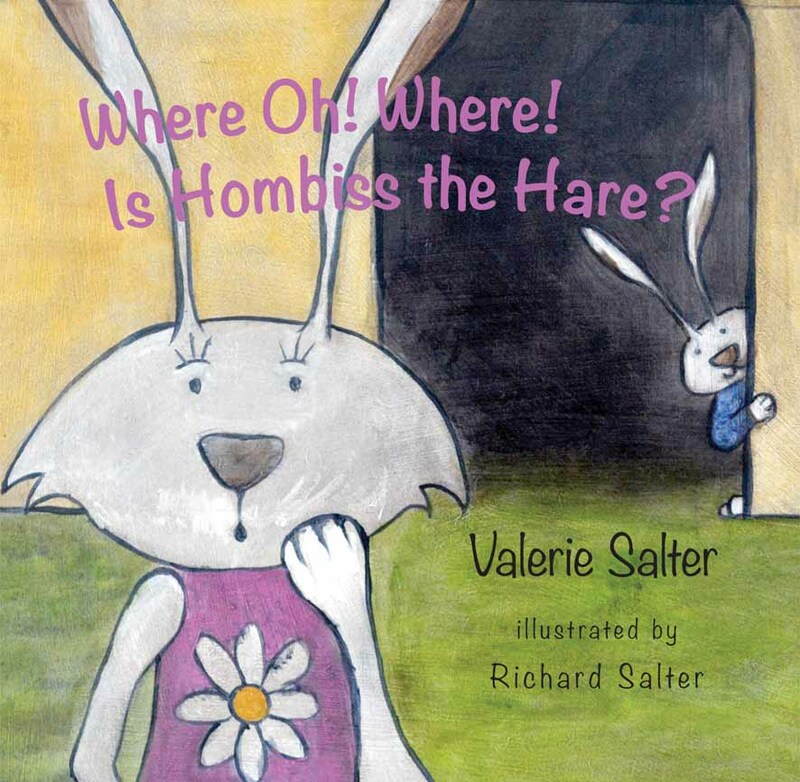 Valerie Salter was invited to the Lowther Children's Book Fair at Lowther Castle where parents and children met her and saw Hombiss the Hare posters of the original artwork, heard her reading from the book and playing games from the book. Richard held his first solo exhibition in Dorset 2008, and feels very privileged to have his work in both private collections and museums; he annually exhibits in the Mall Galleries, London with the Armed Forces Art Society and in Salisbury with the Army Art Society. Born in West Yorkshire, Richard now lives in Devizes. He has won various awards for his work including, in 2013 being named War Artist of the Year. The oil colour original 'Hombiss' paintings are now framed and for sale. At bedtime Hombiss the hare hides from his mother, where can he be? A story for 2 to 5 year olds. Valerie Salter is a retired primary school teacher. She lives in a village near Penrith. Richard Salter has served over 20 years in the British Army and is in the process of being medically discharged from injuries incurred during Operations in Afghanistan. He studied Fine Art with Buckinghamshire University and has painted throughout his military career pulling on the diverse array of Operational environments to influence his work which creates an emotional journey from the heart, being dubbed as “a poet in paint” by Art critic Daphne Todd OBE. He has won a string of awards, his most recent being the prestigious National Army Museum Award 2015, HRH Prince Harry commented on his work saying it was “absolutely brilliant”. Richard feels very privileged to have his exhibitions written on by Royal Academicians and have his work in various collections which include Museums in London, York and Dorset. THIS is a story for 2 to 5 year olds. It is lavishly illustrated by Richard Salter. You can find out more about Richard's art work if you log in to www.armyartist.co.uk. The lovely, coloured drawings are unfussy and provide a good basis for chatting and having longer conversations with the child whose communication skills are so important to develop at this stage. A lovely story about a naughty hare. Keswick Reminder, December 2014. Close Your Doors! Keep the Monsters OUT!